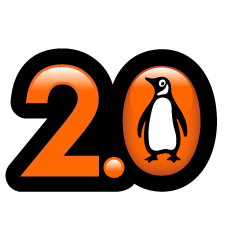 On Monday, Penguin Books announced two new services – called Penguin 2.0 – that Kristen O’Connell, Director of Online Marketing for Penguin, says will “offer readers new and innovative ways to interact with Penguin content.” The services include Penguin Personalized and Penguin Mobile. Penguin Personalized lets readers insert personal dedications directly into select Penguin Group adult titles. The books are then printed POD and shipped to customers. The first title to be made available is Charles Dickens’ works, A Christmas Carol and Other Christmas Writings. Penguin Personalized will expand the service in the coming months to include a dozen additional Penguin Classics titles. Penguin Mobile allows readers to enjoy Penguin content and news on their iPhone. The reader software is available for free from the iTunes app store, and was developed independently by a team of in-house programmers. Penguin has created an optimized version of its website for mobile devices. This site can be reached from any Web-enabled cell phone. Both the mobile site and the iPhone app will allow users to read (and comment on) the Penguin blog, listen to the Penguin podcast, and browse new titles and special interest areas. In addition, the iPhone app will include exclusive excerpts that can be read on- or offline.
. . . the company will introduce a program that allows customers to choose from a variety of short stories, essays, and other short standalone texts and combine them into custom-made collections. Mr. Gomez said the program is part of Penguin’s effort to incorporate elements of so called ‘Web 2.0’ into publishing without abandoning print. Generally, the buzz seems to be positive. However, some readers have expressed a little sticker shock about what seem like high prices for essentially public domain works that can, in some cases be downloaded for free. However, Penguin has added material and formatting to enhance the reading experience and provide more value for readers. No doubt book publishers will struggle with the transition to a world where more content of every kind is digital. Many will see it as a journey of opportunity; others as a death march. Here are some things I think all publishers may want to think more about along the way. Publishers will continue to have to come to grips with what a book is. It’s not a delivery format or mechanism; it’s an experience. And that experience happens differently in different media. E-books should be done in a way that takes advantage of their being digital – for example having search, adding more visual content that would be too expensive for print, and so on. Delivering content in different media is not a zero sum game. One medium doesn’t necessarily subtract from another unless you try to make the experience the same in the different media. Every delivery format has its own pricing, based on the perception of value for similar content in that medium. So pricing in a new medium can’t be based on the rules of the original medium. The rules for e-book pricing can’t be rationalized on the basis of what printed version sells for. We are social animals. Building community around a work, no matter what the delivery format or presentation mechanism, is a good thing. Authors, like Scott Sigler, who have delivered initially in podcast format have done very nicely when moving into print; primarily because he built a community that wants his work in any format. Penguin’s venture into adding a social media dimension to its works should pay dividends. This entry was posted in open publishing. Bookmark the permalink. A very clear post. Now I don’t feel so bad for not blogging it, since you and I think of this along parallel lines. I think it’s summed up in this line of yours: Publishers will continue to have to come to grips with what a book is. How very true. Humans are presented with more choice than ever before. Publishers — more than just book publishers — are used to calling the shots on the form and format the work is presented in. That used to be a necessity (cost prohibitive to make it available in multiple formats), but today it’s becoming nothing more than a habit. Kudos to those publishers mentioned here that are taking the first steps into new territory. If they’ll keep listening to the “reader” and making decisions that benefit the end-user, I’m sure they’ll find success.